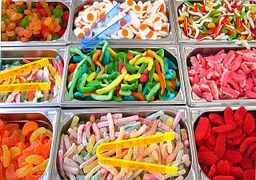 Food Laboratory needed for deformulation testing of two packaged confectionary products in original packaging, and would like deformulation completed to determine the quality and quantities of ingredients used. Could you please give me a quote for service, and advise the quantity of product needed for analysis? Interested in this Candy Request? Need Candy Testing or Scientific Research? Save time and money searching. Simply, submit a Candy request to find the laboratories or lab suppliers that best meet your needs.